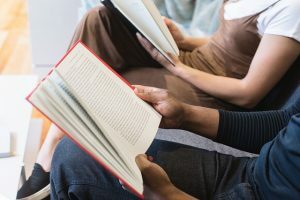 Take a look at our favorite resources on the Daily 5 technique for Language Arts, collected and reviewed by CIRCLE. Experienced Adventist educators sift the ever expanding array of online resources for those of best value for Adventist teachers, administrators and support staff, curating lists for quick and easy use by busy educators anywhere, anytime. This PowerPoint style presentation explains the Daily 5 technique and its importance and provides strategies for using it effectively. Teachers and sisters, Gail Boushey and Joan Moser, provide tips and techniques for implementing Daily 5, CAFÉ (Comprehension, Accuracy, Fluency, Expand Vocabulary), and Math Daily 3. A subscription to the website provides unlimited access, though some information is free, including a tip of the week by email and basic information about each strategy. This presentation that explains techniques for introducing Daily 5 in a school setting is ideal for teacher development/training. This dissertation by Jason Matthew LaShomb reports positive and negative implications of using the Daily Five in a Language Arts Classroom. Daily 5 is a popular concept in education right now, but it may not always be good. Timothy Shanahan presents some challenges with Daily 5 that teachers need to be aware of. Written by the two Daily Café sisters, this book is spoken well of on teacher blogs.